If you have a junk car, we will pay you cash. We will also show up at a time of your choosing, cash in hand, and tow it away for free. No hidden fees and no strings attached. We pay cash for cars no matter their age or condition. Junk cars for cash is the name of the game, and we've gotten very good at it over the years. First, we are not tied to any one way of turning a profit from the junk cars we buy. If we can fix it up and sell it, we invest the money. If your junk car is worth the most by breaking it down for spare parts, we'll do that. If it's only worth its weight in scrap steel, we'll talk to several steel recyclers to get the most cash possible. The result is that we can offer you the most cash possible for your junk car. Please chat us with or fill out our online form. One of our friendly and knowledgeable representatives is waiting to talk to about turning the eyesore in your driveway into cash in your pocket. Junk cars for cash. It's what we do, and we're sure that you'll be surprised by how easy and profitable we can make it for you. Sell Your Junk Cars For Cash Today! 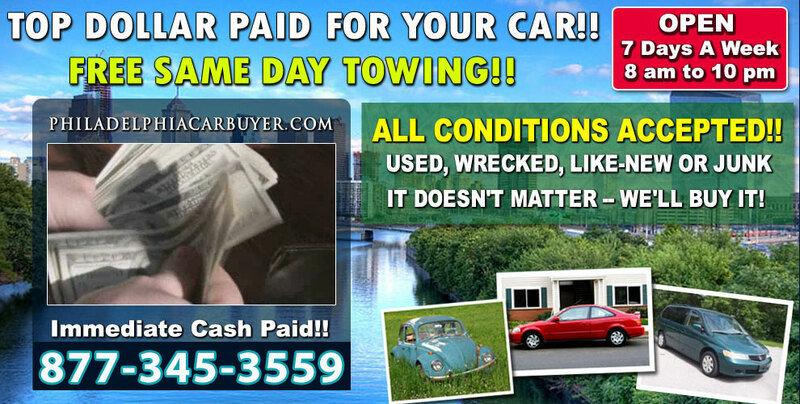 Turn Your Junk Cars Into Cash Now!